On thurdays, tecno mobile lauches camon iclick2 which is now in market for tecno lovers to purchase. The specs below are what you will enjoy if you get these mobile device for yourself. The smartphone has been priced at Rs 13,499 and is available in three colours: Aqua Blue, Hawaii Blue (Gradient) and Midnight Black. 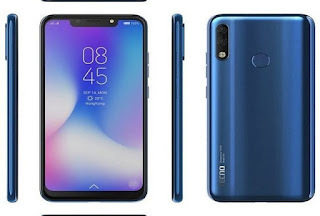 The handset sports a 13MP+5MP dual rear Artificial Intelligent (AI)-camera set up and on the camera front, the device features a 24-megapixel front-facing camera for selfie and video calling. The Tecno Camon iClick 2 runs on Android 8.1 Oreo with company custom UI HiOS 4.1. The device packs a 3750mAh battery. On the connectivity front, it supports 4G VoLTE, Wi-Fi, Bluetooth, GPS, dual-SIM and micro USB port. Bear in mind that in September, TECNO launched three AI-centric smartphones — CAMON “iAIR2+”, “i2” and “i2X” — priced at Rs 8,999, Rs 10,499 and Rs 12,499, respectively.